Articles by "India's Best Dramebaaz"
Mumbai, August 21, 2018 (Team Online News India): Sonakshi Sinha and Jassi Gill along with Omung Kumar, Huma Qureshi were seen having a gala time with the contestants and judges on the show. 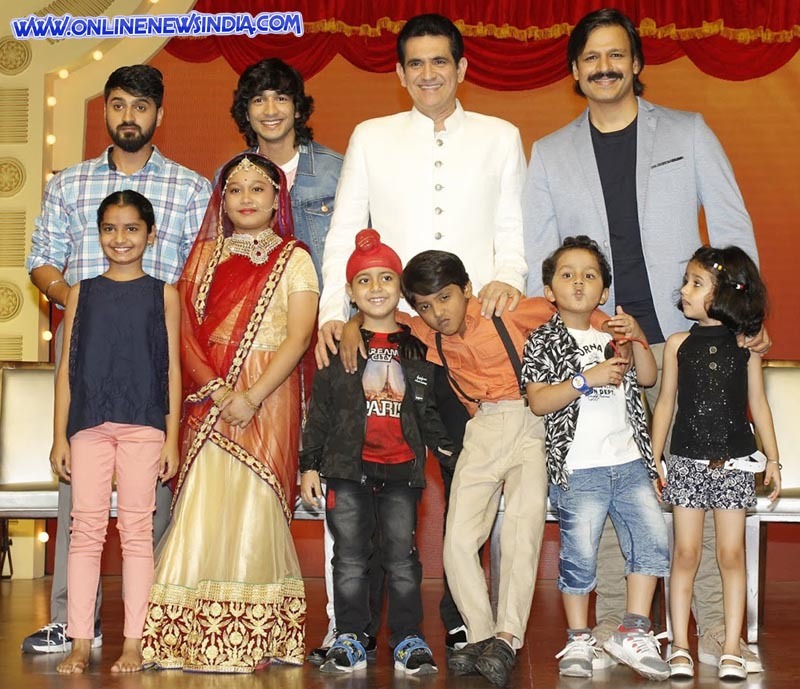 Mumbai, June 19, 2018 (Akash Sharma): Celebrating the dramatic flair and histrionic abilities of India's youngest acting prodigies in its first two seasons, Zee TV’s acting talent hunt show for kids India’s Best Dramebaaz is back with an all-new third season. Having opened up a world of opportunities for truly deserving talents like Kartikey Raj, Kartikey Malviya, Tamanna Dipak, Praneet Sharma each of who have carved a niche for themselves as performing artistes, the show’s latest season gives a chance to a new lot of promising child actors to polish their acting skills and emerge as superstars tomorrow. Enabling the youngest in the country to find their true calling and letting them pursue their passion for acting in order to build an extraordinary future in the world of entertainment, India’s Best Dramebaaz is the true embodiment of Zee TV’s core philosophy Aaj Likhenge Kal. The show will air every Saturday and Sunday at 9 PM starting 30th June only on Zee TV.